Her book is launched just in time for the Venetian Carnival 2017, and you’re invited to a Masquerade Dinner Party and costumed ball at the Bauer Venezia hotel on Saturday February 25 (see invitation and details below). 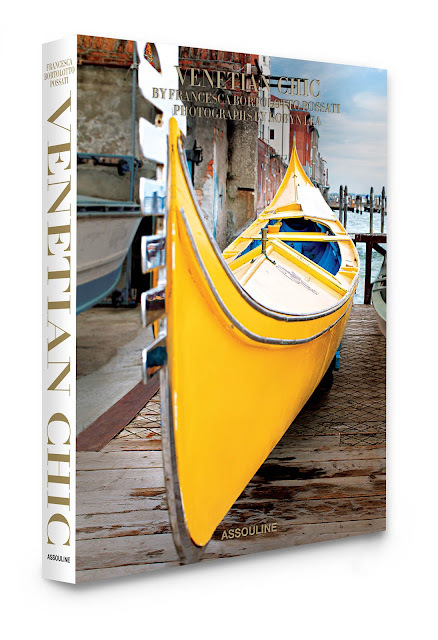 Assouline has just released ‘Venetian Chic’, a handsome new large-format book, the ultimate insider’s guide to Venetian style. 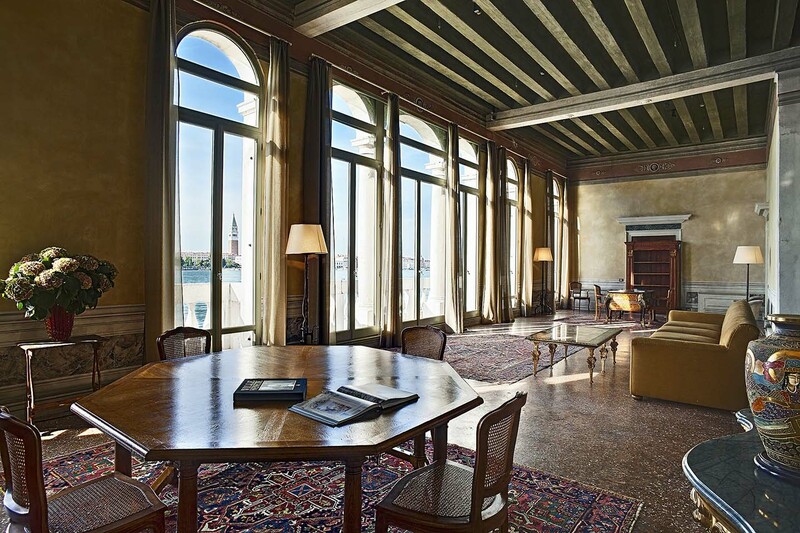 The book is a tribute to the history, culture, arts and elegance of Venice, with images of ultra-private palazzi, interiors, architecture, Seguso glass, the Grand Canal, noble cathedrals, crafts, and private apartments. All that’s missing is the sweet and slightly saline scent of Venetian air. Come with me for a first exclusive look at this delicious book—plus a special visit to Francesca’s empire along the Grand Canal. Oh, and the Masquerade invitation. 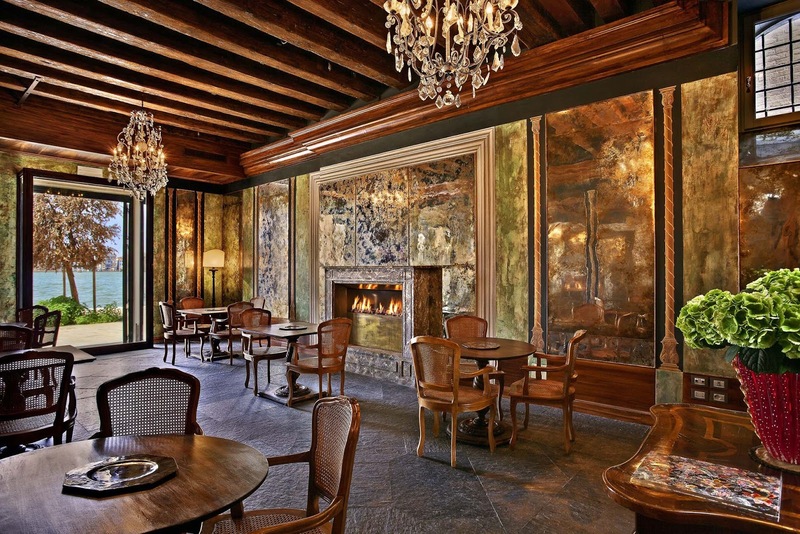 Glamorous Francesca Bortolotto Possati is admired as a leading figure in the worlds of Venetian luxury hospitality, philanthropy, architecture, and art. 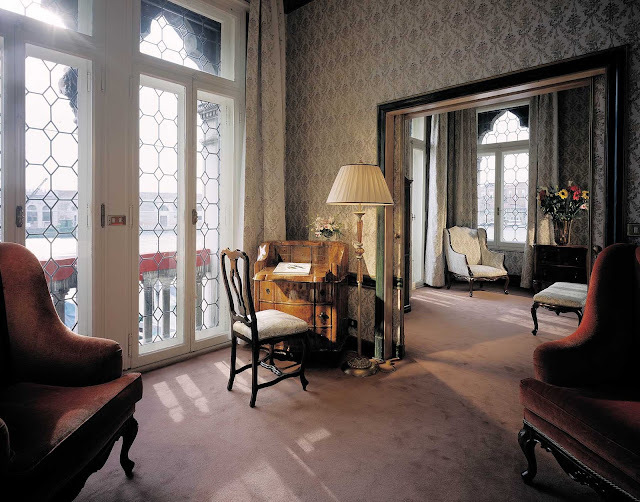 She has played a major role in supporting the restoration of historic buildings in Venice. 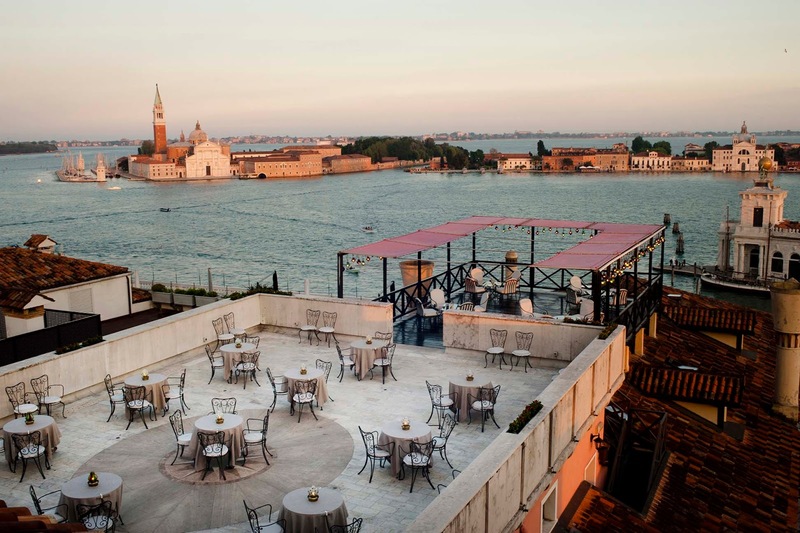 She is the owner of four five-star Bauer hotel properties including Il Palazzo on the Grand Canal, as well as the new Il Palladio Hotel and Spa on Giudecca, and Villa F, which faces the lagoon and the Punta della Dogana, and the romantic waterscapes of Venice. 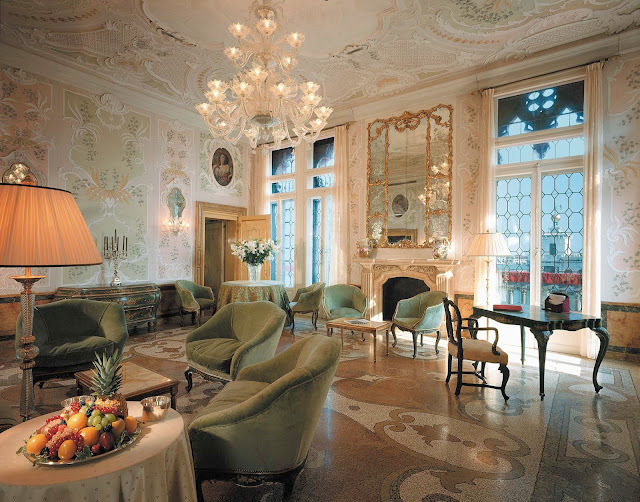 ‘Venetian Chic’ takes readers for a very insider tour of private apartments, secret corners, glass-making, antiques, views, and closeup details of architecture, carving, weaving, embroidery, and all the arts and crafts that make Venice so alluring. 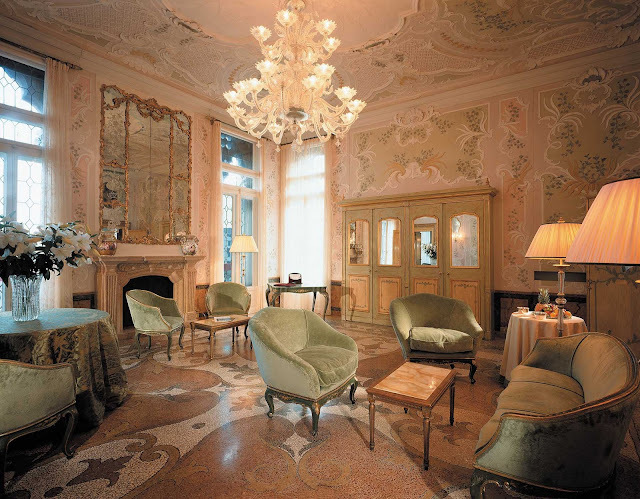 From Francesca’s private black book of friends and admired style leaders, she visits artists’ studios, the palazzi of elegant Venetian friends, and a series of restored art works, churches, chandeliers, gilded carving, chapels, and Venice’s hidden corners. Robyn Lea’s images, some free-form and very impressionistic, show the sense of history and mysery that saturate the buildings and landscapes. 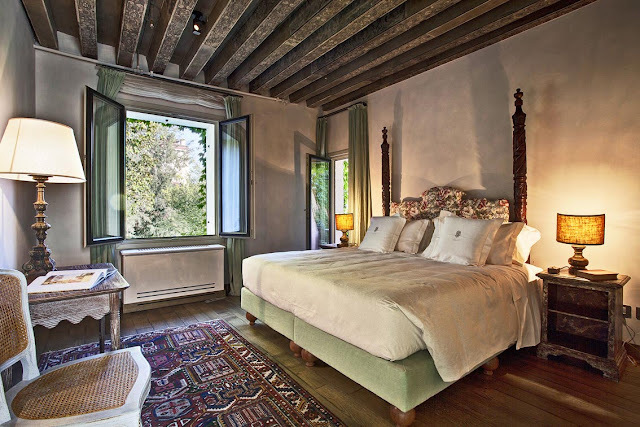 This is private Venice, without the crowds, and with secret access to places that hark back to the artists of the Renaissance and the chic masquerade balls of centuries past. Francesca Bortolotto Possati opened her private photo albums to show family celebrations and historic balls and holidays. And she reveals the everyday pleasures of fresh food markets, silk weaving, old workshops that craft velvets and silks too glorious to imagine (that are sold to decorators around the world). 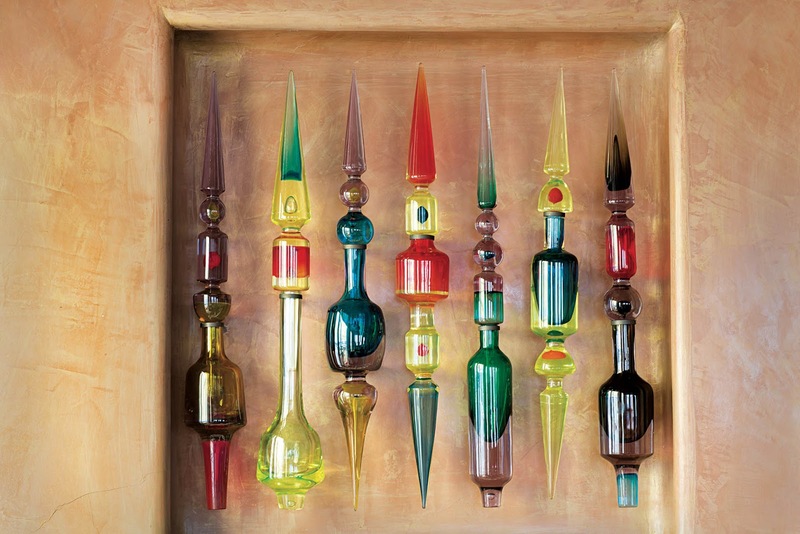 Perhaps best of all, photographer Robyn Lea has spent years roaming and discovering. 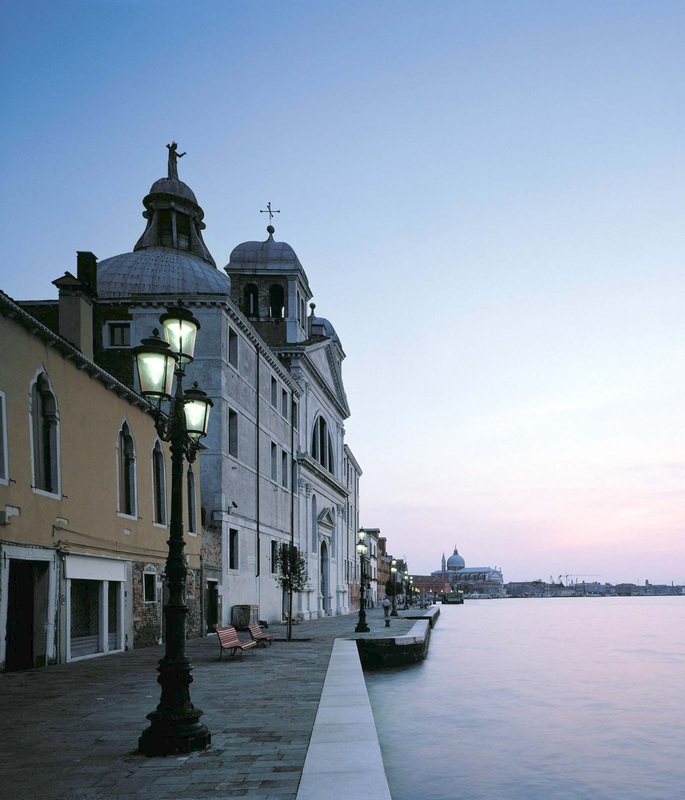 Her romantic focus on only-in-Venice treasurse makes this book a revelation. 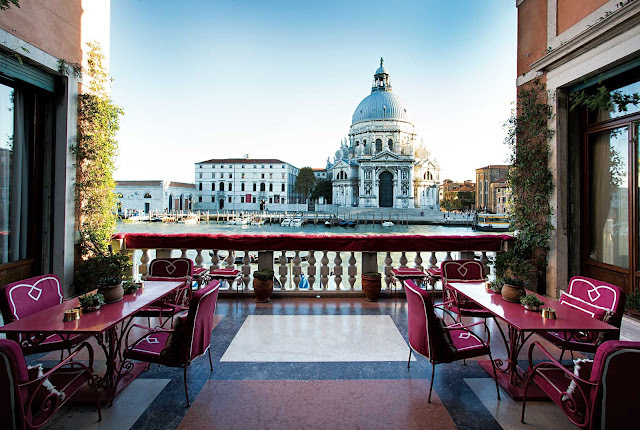 This is the Venice of dreams, the iconic destination through new eyes. A witty and affectionate foreword by Jeremy Irons complements this stunning volume. A long-standing ambassador for Venice and patron of the lively Venetian cultural scene, Bortolotto Possati supports many major charities. 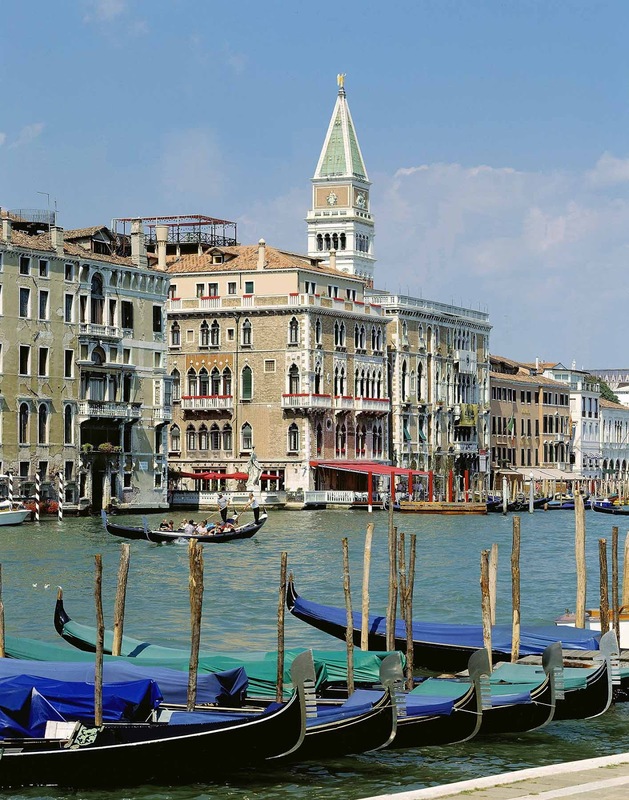 She is director of the art and architectural restoration fund Save Venice Inc. and has won many awards for her dedication to preserving the city’s historic legacy. 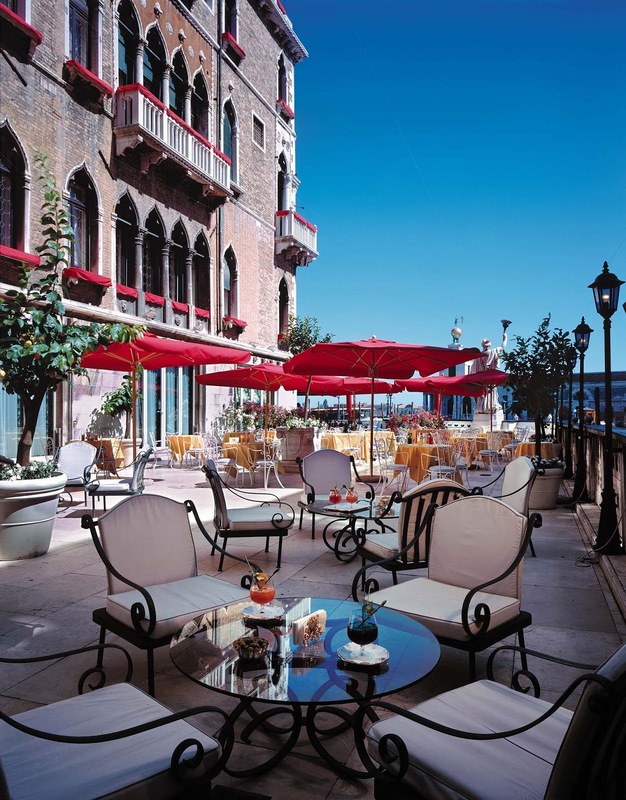 As the owner and director of four leading Venetian luxury hotels, she has been recognized as a Leading Women Entrepreneur of the World. 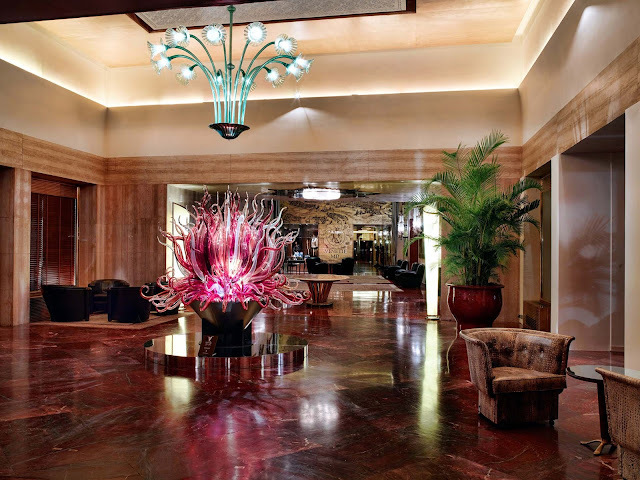 Bortolotto Possati is the granddaughter of the Ligurian shipbuilder, Arnaldo Bennati, who purchased the Bauer in the 1930s and undertook the hotel’s first renovation. During her childhood in Venice, the Bauer was Bortolotto Possati’s second home and her preparation for her current role has been lifelong. Bortolotto Possati also directs her family’s winemaking estate, Colmello di Grotta in Collio. 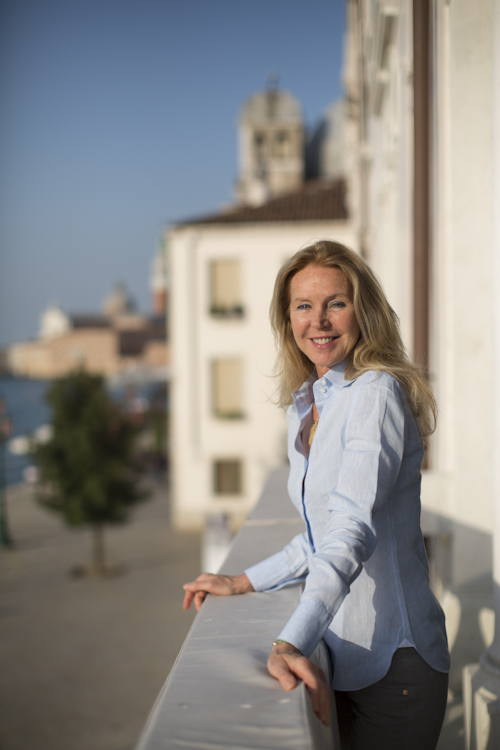 She sponsors the Zuecca Project Space, a non-profit area in Giudecca that hosts exhibitions for local and international art communities. 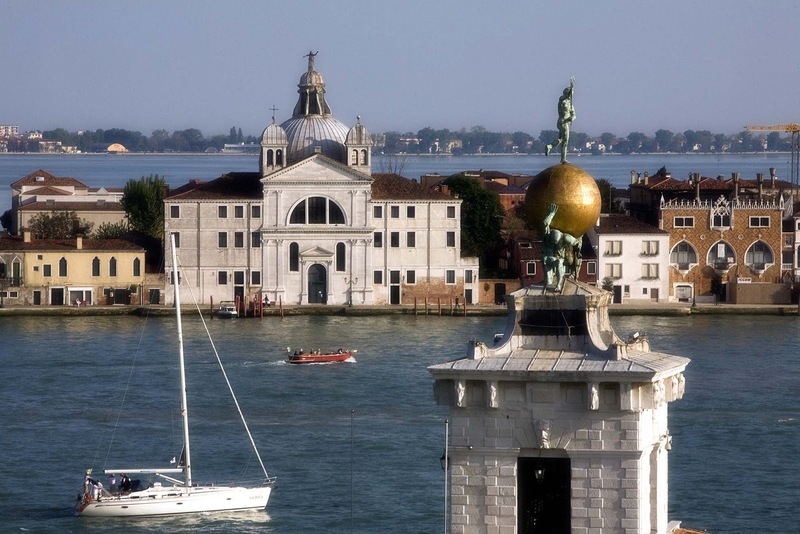 Bortolotto Possati presents the Ca’ Foscari Award at Venice’s international literary festival each year. 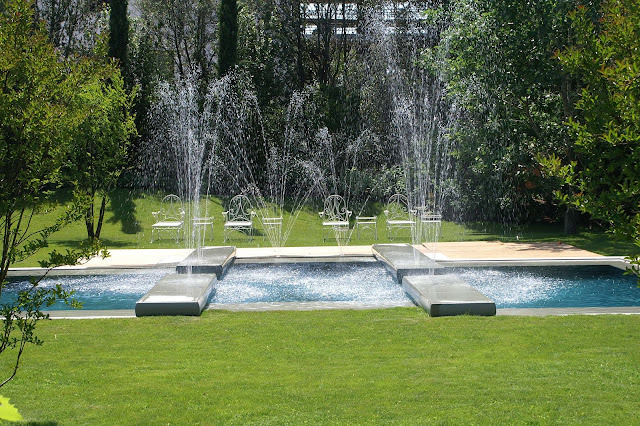 Bortolotto Possati has two children, Alessandro and Olimpia, who are also deeply involved in the activities of the BAUER Venezia properties. 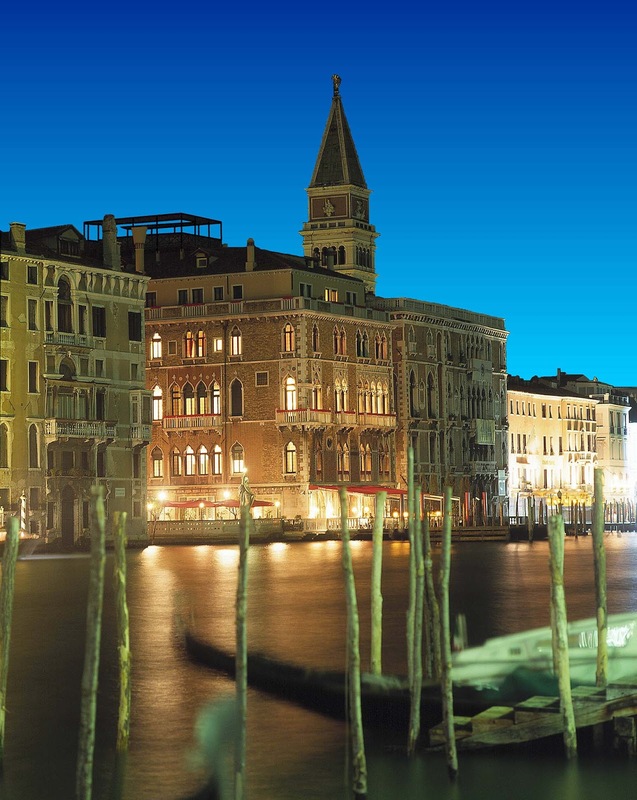 She is also a keen sports enthusiast, and a champion skier, and has a particular penchant for driving her boat through Venice’s famous canals. Bauer Venezia is pleased to invite you to attend the Masquerade Carnival Party at the Bauer Palazzo, Saturday, February 25th 2017. Buffet dinner starting from 09.00 pm with entertainment at Bauer’s Ballroom. After dinner with DJ set starting from 11.30 pm at the BBar lounge. Dinner from 220.00 euro ( per person) wine included. 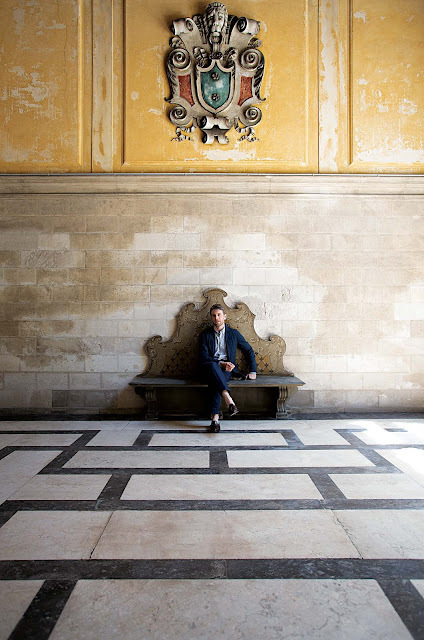 ‘Venetian Chic’ Text by Francesca Bortolotto Possati, foreword by Jeremy Irons, original photography by Robyn Lea || 264 pages | 150 illustrations | hardcover. 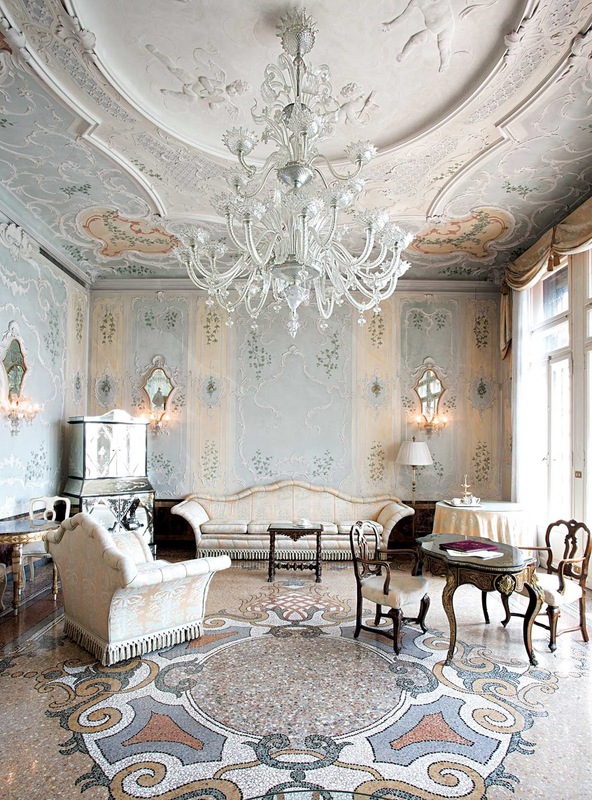 Images published here from ‘Venetian Chic’ by Robyn Lea, with permission. 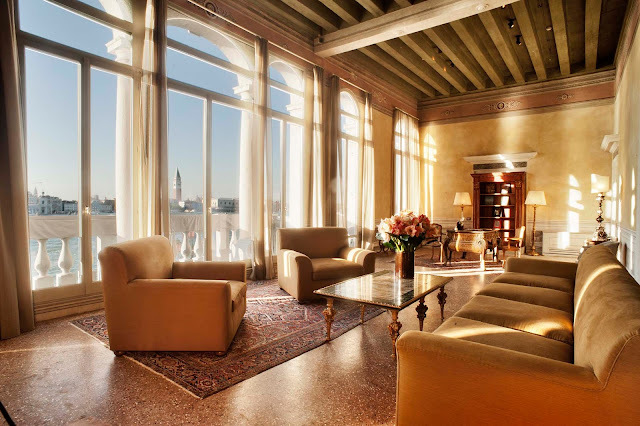 Images of the Bauer Venezia hotels, including Il Palazzo, Palladio Hotel & Spa and Villa F used here with exclusive permission of Francesca Bortolotto Possati. Diane, if I may call you by your first name, once again you have opened a window into a world I have never seen. Entrancing! This post comes at a most opportune time. My husband is a reluctant traveler and I have been trying to "sell" him on visiting Venice. I think I shall purchase this book and leave it on his pillow! Thank you so very much! Thanks for the great issue. the book is a dream...mostly images, some quotes and very poetic. spend time...for example...AT PALAZZO FORTUNY...it is fantastic...art lovers only. I received the following lovely message from my dear designer friend, James Marzo (a great Italian name...). 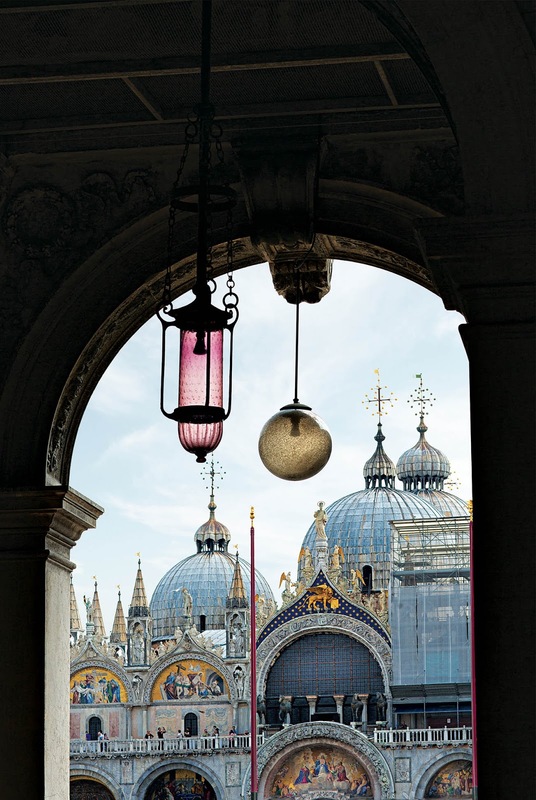 Thanks for sharing this Venetian Fantasy. Chicissimo! 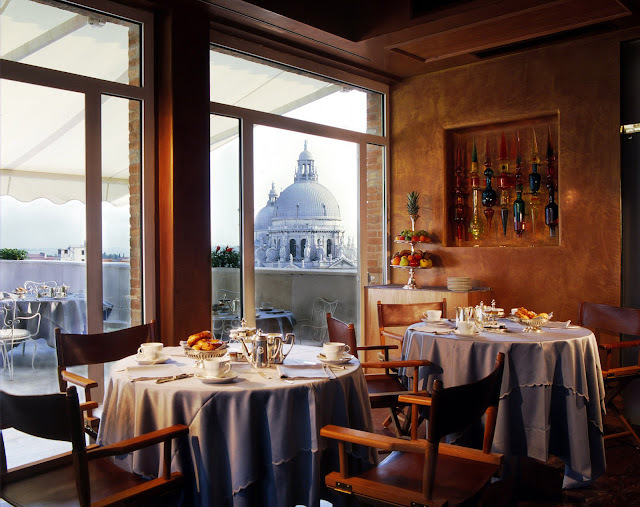 VENICE, how do I describe thee...magical beauty, heavenly apparition, crumbling grandeur...an architecturilist capriccio. 30 years later and I still feel as if I've lived a life there in the distant past...one never gets enough of the shimmering light dancing on the blue green waters as you cast your eye to the horizon where water and sky meet in a haze. Can any of us ever get enough? That we should all age with patina which enhances one into an otherworldly creature. 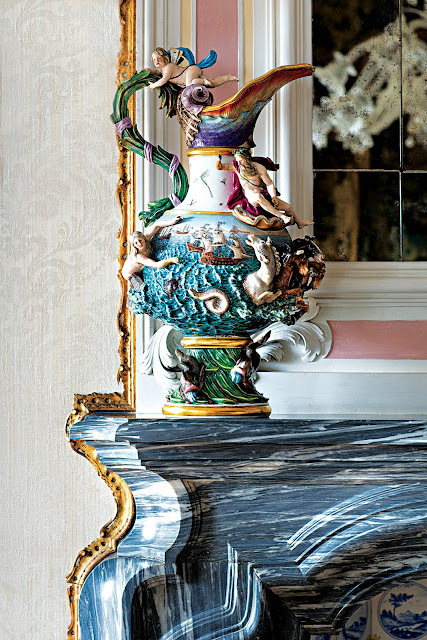 Adore seeing that Cozzi pitcher, Cozzi is quite rare, even in Venice, mainly glazed white, but the rarest is the handpainted porcelain of the 18thC...I've a beautiful Neptune holding a shell and trident surrounded by Hippocampus writhing in the round on a raging swirling base mimicking the sea...the Adriatic of course. It came out of a collection from a private palazzo with ceilings painted by Fontebasso...I am forever indebted to Venice for uplifting me in times of darkness with the Hope of Beauty triumphant over Age! 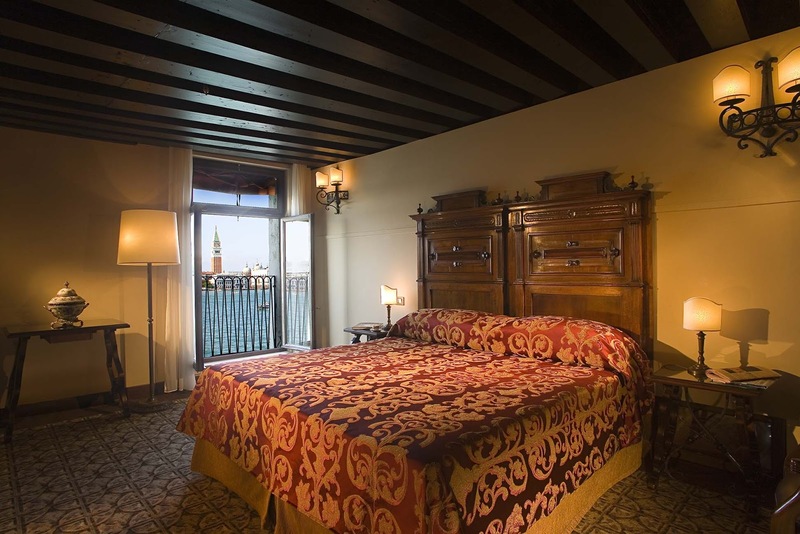 Yes...your vision of Venice is mine...romantic and timeless and full of beauty and life and creativity. 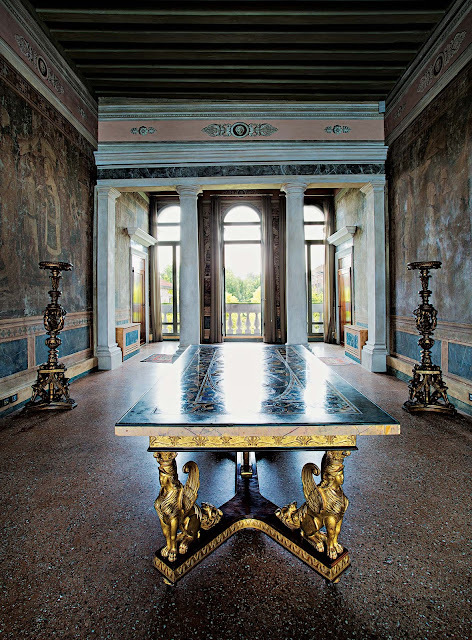 It is all there...an you have to know where to find it and who to show you...and how to go to private places where you can ponder beauty alone...like the Fortuny Gallery or the Cini foundation or Torcello, and all the hidden sites and museums and foundations and former monasteries and galleries...it is all there. It happens...that if you enter museums or noted religious buildings or significant places of beauty...there is no-one there. Of course the cuisines...from the lagoon...is unique and superb. How timely is this post! I have just spent Carnivale in Venezia, my second time doing so-- not in the street with the big parties but privately in the beautiful palazzi which are rented out for elegant balls every night. 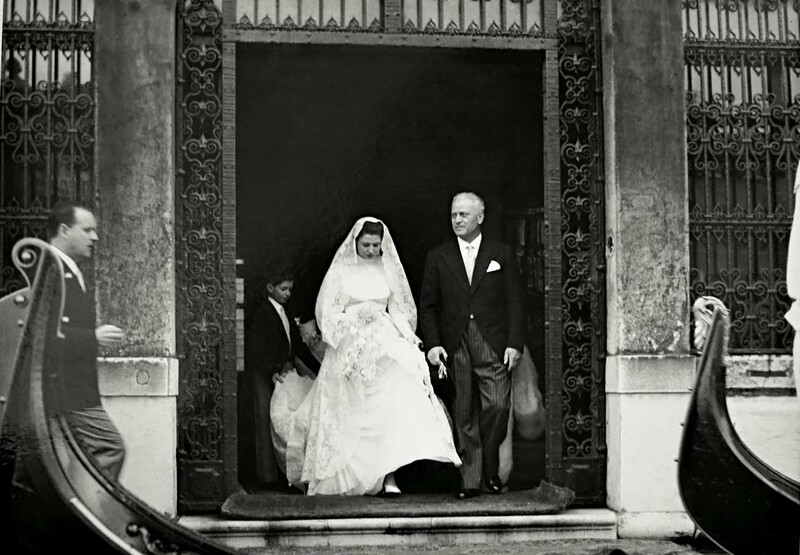 I am sorry to have missed the Bauer party as I was dressed and ready, on my way to another ball. Venice is really splendid in the winter, and always wonderous if you aren't afraid to wander and get lost... even if you know where to go.